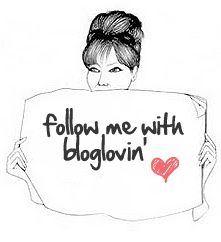 As some of you may know, myself and 6 other beautiful ladies from the blogosphere founded the Girls Inspired Group blogging community late last year. 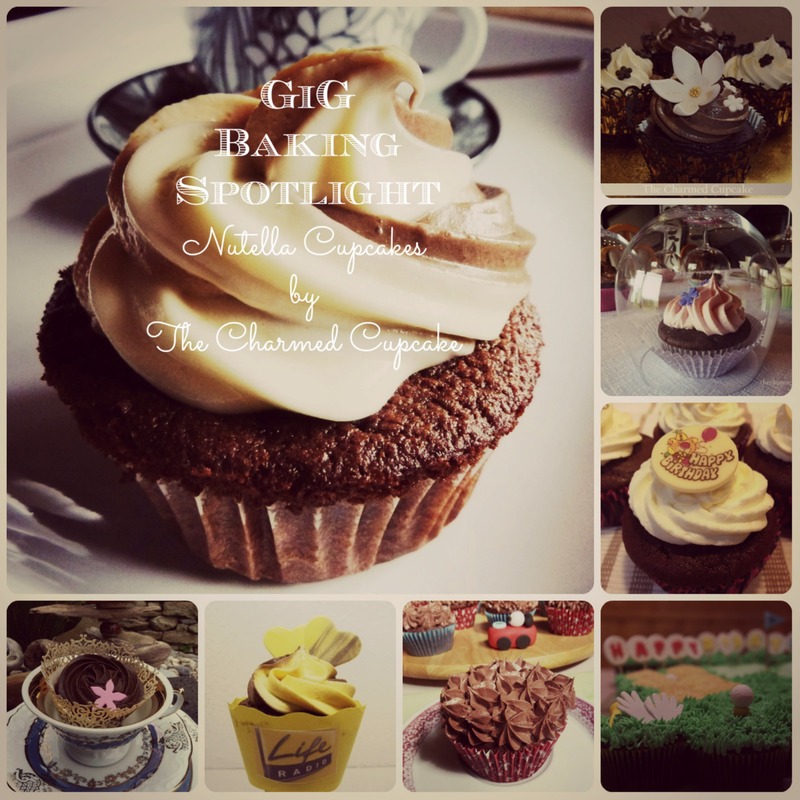 To support our GIG members, to get their blogs out there and showcase their creativity both in writing and design, we have launched a concept called GiG Spotlight which we run regularly. 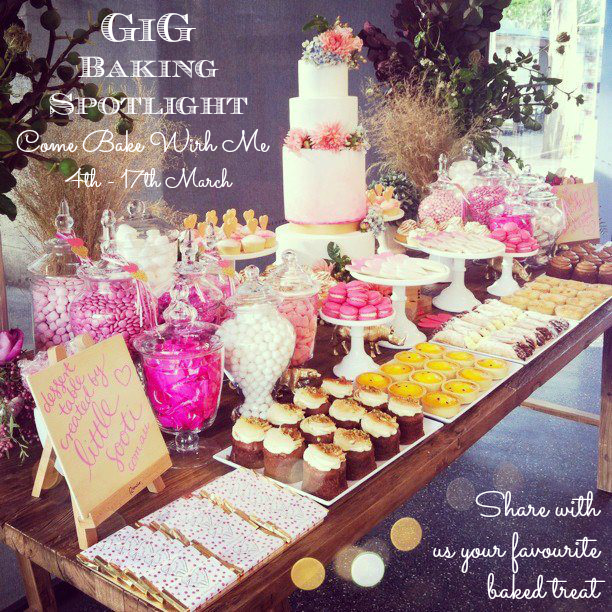 I am so excited to be hosting the 4th GIG Spotlight: Come Bake With Me – Share with us your favourite recipe, along with my co-host the beautiful and talented Jessica of Jessiker Bakes. We will be running this spotlight from the 4th – 17th March and anyone is welcome to join us, all details can be found here. So what’s my favourite I hear you ask? Well for those of you who have been following me you will have noticed that my favourite recipe is non other than Nutella Cupcakes. I have made them for different occasions and they have always been a great hit with everyone and they still are a regular request. Line your cupcake pan. Set aside. Preheat oven to 180C. Whip the butter till creamy. Beat in the sifted sugar, milk and sugar. Continue whipping till all ingredients have combined and it has reached a consistency you are happy to pipe with. If it is too thick add in a little milk, if it is too wet add in more sugar. Whip till smooth and combined. Use the buttercream immediately or refrigerate till ready to use. If you do refrigerate the buttercream you will need to allow the butter to soften slightly and beat once more before piping. There you have it, my favourite recipe – yummy, scrumptious Nutella Cupcakes. I can see why your Nutella cupcakes are your favourite! They sound pretty amazing and pairing them with Nutella buttercream is like a dream. Yum! My son will love these Nutella cupcakes. This event sounds fun to join. Will check out the details. PS. Heard from Joyce that you are encountering problems leaving comments on my blog… Hope that this comment will bring us to the right links. Cheers! Oh, this is such a great post! It looks really delicious! Hi, Mmmmm…I can certainly understand why that would be a favorite! Sure looks good. Wow — Nutella cupcakes sound amazing! I try to use Nutella as much as possible…I love the stuff! Thank you for sharing. I’m definitely going to try this recipe out! Good thing you included the recipe 😀 I might as well try this when I’m home! The frosting is perfectly applied 🙂 Great job! It’s all for a bit of fun and sharing recipes amongst us. Omg!!! I cant bake but I wouls love to make those! Im a huge fan of nutella and eat it with everything! From peanut butter to jelly to cheese! I buy cooffe cream in nutella flavor and always get nociolla gelato! This sounds beyond yummy to me! Thamk you for sharing and hosting this amazing spotlight!! Angela this looks so delicious! I love love love this I need to try out some Nutella cupcakes of my own!